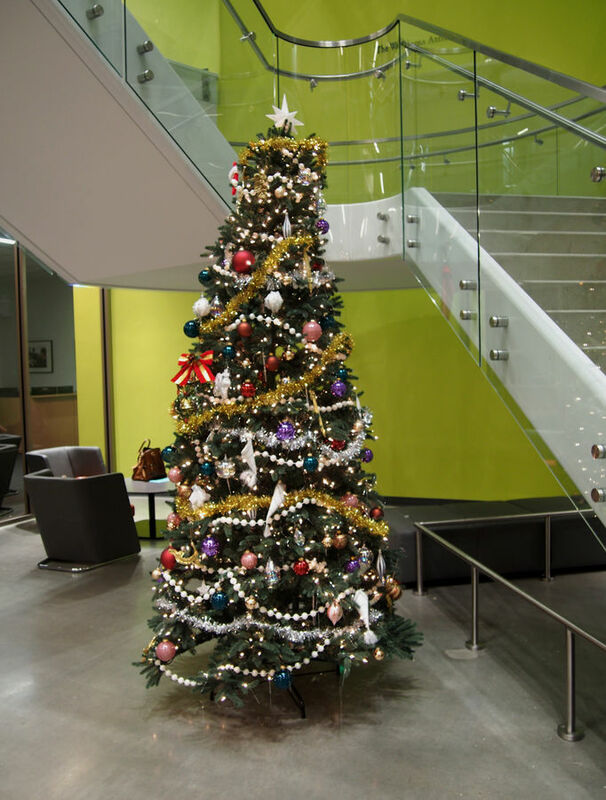 Christmas trees have been popping up all around campus as the holidays approach. Winter is my favorite season of the year. It is marked by nostalgia, snickerdoodle cookies and red glitter. Winter is a 3-month long excuse to run around celebrating and eating chocolate covered cherries and other exclusively winter conventions. If you can get over the harsh temperatures and loud commercialism that characterize the winter months early enough, you may be just in time to enjoy the holidays in all their splendor. They smell fabulous and look so beautiful adorned with lights and shimmering ornaments. They warm up any living room and infuse the home with winterness. Candy canes are amazing. So is candy cane scented soap and candy-cane flavored cookies. Put peppermint in everything this season, from teas to coffee to any dessert. It’s the most distinctly “holiday” flavor you can have. Kisses under the mistletoe. They are classic, clever and warm. Mistletoe is perfect to hang in every doorway. Sneaky holiday kisses make the winter perfect. Everyone wants an excuse to break out their fur coats- admittedly, wearing mine makes me feel like a movie star. Or hot coffee, or hot tea, whatever suits your taste. Plus holiday-themed biscotti in flavors like pumpkin spice and nutmeg. Sweet. Family is the most important aspect of the holidays. Sitting around the fire with my crazy aunts, warm grandparents, and adorable younger siblings is my favorite thing to do in December. Frank Sinatra, anyone? I love the sound of bells and classic carols. The original animated version is the best embodiment of “the holidays” as it tells the classic heart-melting tale of one scrooge and his search for meaning. Oh and the dog is adorable. If all the bells and whistles that come with winter annoy you more than they enchant you, perhaps you are swinging with the wrong crowd. The holiday season means something different to everyone, and it should always be a good time. If the music of Black Sabbath speaks more to your inner winter self than “Jingle Bells,” then go for it. Never feel pressured to adhere to any holiday prescriptions or plans to infect the whole planet with Christmas cheer. Do what feels Christmas to you. Or Hanukkah or Kwanzaa, or whatever way you observe the holidays.